If you are approaching from outside of the Shaftesbury, either from the east along the A30 from Salisbury, or from the south along the A350 from Blandford, then either direction bring you to a large roundabout (known as the Royal Chase roundabout after the hotel of the same name that overlooks it). Take the road that is signposted towards 'Town Centre'. After about a quarter of a mile, you will see Shaftesbury School on your left and you will be approaching a road width restriction. Go past the width restriction and after about a hundred metres you will see a turning to the right which is Old Boundary Road. The church is about fifteen metres after Old Boundary Road on the left hand side. 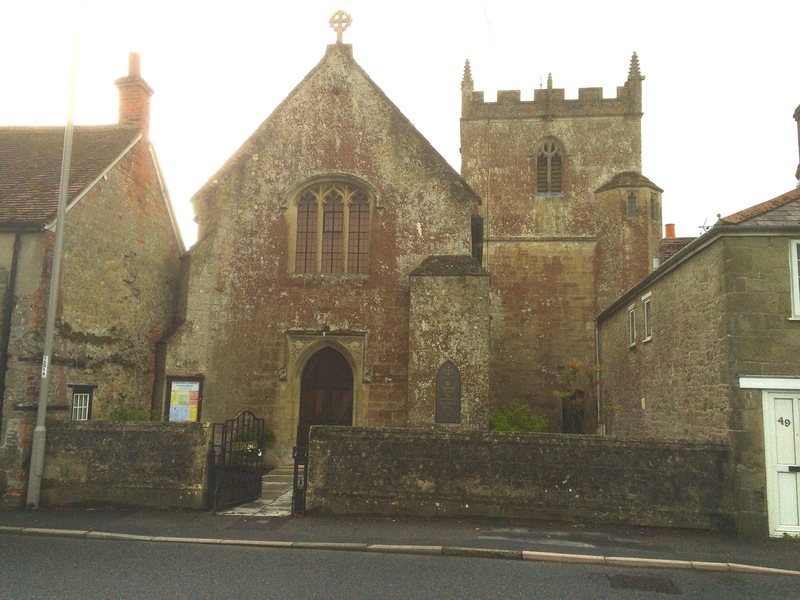 The church is situated on Salisbury Street which is the main road that runs east from the centre of Shaftesbury towards Salisbury. It is set back from the road on the right hand side as you are travelling out of town and is rather inconspicuous and unassuming! Go past Chutneys Indian restaurant on the left hand side and the launderette on the right hand side. Next is a turning to the right called Great Lane. After about 40 metres is Old Boundary Road on the left. The church is on the right hand side between these two turnings. If you arrive at a width restriction in the road followed by Shaftesbury School on your right then you have definitely gone too far! Parking is not good - if you find walking tricky, then try and get here early and park in Salisbury Street. UNDER NO CIRCUMSTANCES TRY YOUR LUCK BY PARKING ON THE DOUBLE-YELLOW LINES IN SALISBURY STREET! Shaftesbury is quaint and sleepy and rural but its traffic wardens are not and have issued tickets during Sunday Mass to cars parked on the double yellow lines! If there are no spaces in Salisbury Street then turn into Old Boundary Road and try and park up there or in St Rumbold's Road which runs off it.